Before the onset of 2015 there were countless speculations on how important it would be for SEO to implement the responsive design. But, by March, 2015, the update from Google made it clear that mobile website for SEO would affect greatly. Since, April, Google made it clear that the ranking factor of a website would depend upon whether it is responsive in nature or not. Implementing a successful mobile SEO strategy would help businesses in garnering the desired competitive edge over others. With the constantly increasing smartphone users day by day, the scope for online shopping seems to have grown evidently. A recent study conducted online made it clear that nearly 74% of mobile users make use of search engines for making an online purchase. Knowing how important it is to target the mobile users, one must make sure that the website is responsive in nature. To offer the mobile users an improved user experience, you will have to rely upon these 3 development configurations. Responsive Web Design – The best part about Responsive design is that it offers a single HTML over same URL as per the screen size of device. The main thing is that it adjusts the web content as per the device over which the content is being viewed. Dynamic Serving – In dynamic serving, the website is served with a different HTML code over the same URL. It gets modifies as per the user agent that is requesting for the page. Separate URLs – As the name suggests, this approach offers different URLs to users. It means that separate versions of a website are maintained for both desktop and mobile. As per the device through which the user is accessing the website, the user is served with a single option. Considering the ease of development and use, one should always consider opting for Responsive Web Design. 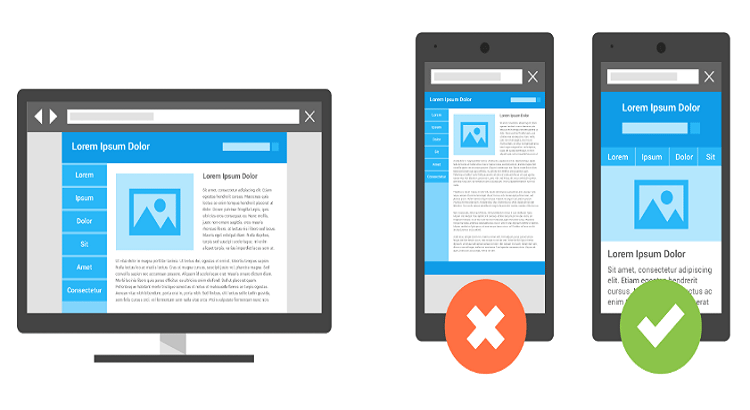 No matter, what you rely upon, the most important part would be avoiding common mistakes that most of the developers and designers make while developing a mobile website. Below is the infographic created by by Nine Hertz for Instantshift that explains Mobile SEO along with the common mistakes made. The infographic also recommends actions that should be taken for making your mobile website search engine friendly.